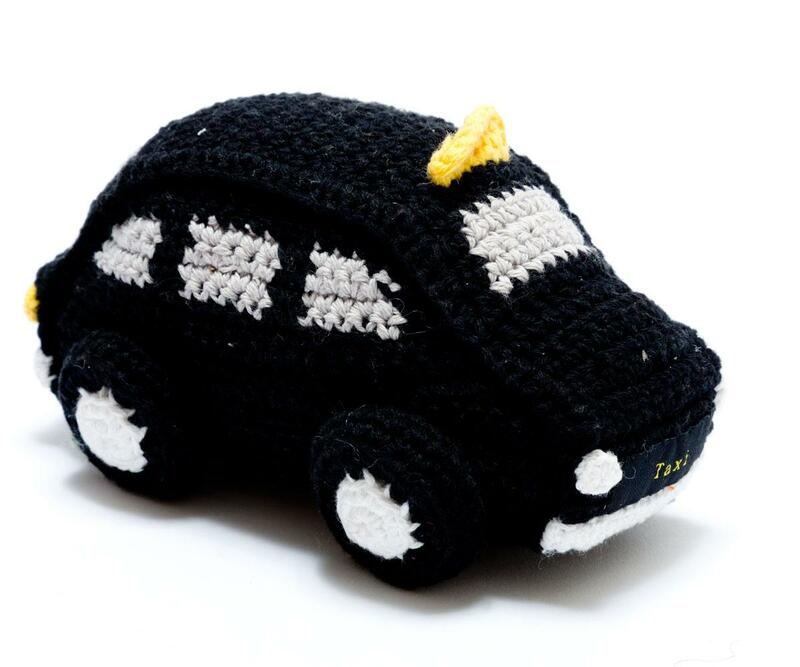 Our crochet London taxi toy with rattle is a great souvenir for babies and kids. One of our popular tourist range, this iconic taxi is a big hit with kids everywhere. This is the perfect gift to celebrate all things British.